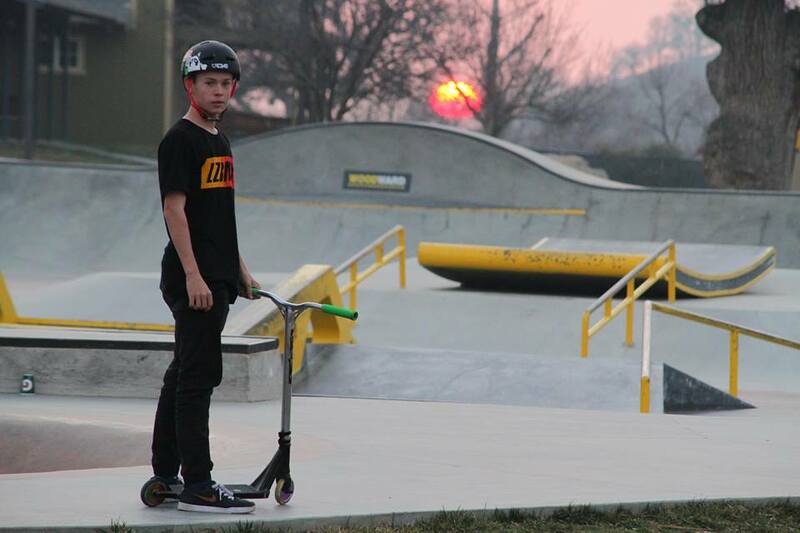 Over the course of the last year or so, the rising popularity of the YouTube video blog has started to significantly impact the sport of freestyle scooter riding at large. In fact, many of the sports top professional freestyle scooter riders, such as Tanner Fox, Capron and Corey Funk, and Raymond Warner have all jumped on the bandwagon and started producing their very own original video blog YouTube content to share with the world. This has stirred up quite a bit of controversy in the freestyle scooter community for a multitude of different reasons. One of the most significant reasons being because many individuals see it as the death of the “video part”. Several years ago, it was common practice to spend weeks, months, or even years filming for one single video that would essentially showcase everything that you were capable of on a scooter. Freestyle scooter riders would spend hours attempting to roll away from one single trick on film, and this process would continue until enough footage was collected to compile a completed video part. These video parts were meant to be an extension of you, your personality, and your riding, so the vast majority of the freestyle scooter community took video parts quite seriously. However, in today’s world, it almost seems as though we have lost that very important aspect of this sport that we claim to love so much. As the view count steadily decreases on the sacred video part over the course of time, the view count on YouTube video blogs does nothing, but go up. I, personally have no negative opinion regarding the YouTube video blog craze that seems to be sweeping the entire freestyle scooter world. In fact, if anything, the substantial number of views that these video blogs are receiving is only positively contributing to the overall growth of the sport. However, that doesn’t make it any less important to keep producing classic video parts that are built to withstand the test of time. No one has ever gone back and watched a video blog more than a handful of times, but I cant even express to you how many times I have gone back and watched some of my favorite freestyle scooter videos of all time. The video blog is a great platform for showcasing the lifestyle and personality that comes along with the scooter rider, but the video part represents the very essence of who that scooter rider is at their core. I think both of them serve different purposes in the sport of freestyle scooter riding, which is why it is important that scooter riders continue to create both of them. In order for the sport to continue to experience further growth and progression, scooter riders have to keep pouring their heart and soul into their work and show the world what they are truly capable of on a scooter. A video blog will always be an excellent way to showcase personality, but it will never compare to the blood, sweat, and tears that is required in order to produce a truly lasting video part.